President Trump’s lawyer/fixer Michael Cohen was also a member of the Republican National Committee. Not a whole lot of people know that, and I think that they should. I say he “was” part of the RNC because Cohen just stepped down from his post. 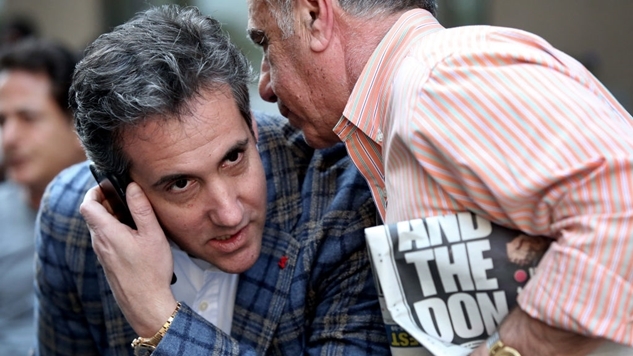 Michael Cohen was still Deputy Finance Chair of the Republican National Committee when the FBI raided his life on April 9th. He was Deputy Finance Chair of the RNC when he admitted to paying off Stormy Daniels, and when it was revealed that the Trump campaign paid his legal fees potentially in violation of FEC law. And when evidence sprung up that he received payments from a company owned by a Russian oligarch. And when AT&T’s CEO apologized for leaving a giant sack of money on his doorstep. And when pharmaceutical giant Novartis offered a ridiculous explanation for why they paid him $1.2 million for a meeting with him they supposedly got nothing out of (Trump hasn’t followed through on his campaign promise to lower drug prices). And when his Suspicious Activity Reports were leaked to Stormy Daniels’ lawyer because the law enforcement official investigating them was so perturbed as to how they would go missing. According to an RNC official, Cohen was “inactive” on the committee for several months, which makes his symbolic representation on it all the more curious. Michael Cohen has resigned his position on the RNC's finance committee, multiple sources confirm to CNN. An RNC official says he has been inactive on the committee for several months. What I’m getting at is, we should never ever forget that President Trump’s goon “lawyer” was a high ranking official on the Republican National Committee while bombshell after bombshell revealed him to be knee-deep in overtly and comically corrupt entanglements with major corporations AND foreign actors! When someone tells you who they are, believe them. This is the Republican Party.